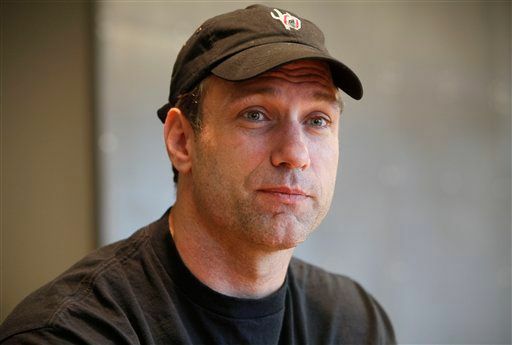 Ohio State great Chris Spielman has a long history of speaking about cancer to raise awareness. Spielman supported his wife through multiple breast cancer battles before she passed away in 2009, so the disease has had a very personal effect on his life. Spielman was back at is last weekend supporting an organization fighting for a cure as the special guest at the Salem Regional Medical Foundation's 9th annual Hearts and Stars Gala. Spielman shared his own journey dealing with his wife's cancer and also what people can do now to help find a cure. He also told the assembled crowd at the Vineyards at Pine Lake in Columbiana that the people in Northeast Ohio have the right spirit to fight the disease. "I think northeast Ohio represents a willingness and a toughness and people with fight. I think when you are fighting an opponent like cancer, that's the kind of people you want on your side." Spielman said. Spielman was a two-time All-American and winner of the Lombardi Award at Ohio State. The Detroit Lions went on to select him early in the second round of the 1988 NFL Draft and he spent his first seven seasons with the franchise. While in Detroit, Spielman was a four-time Pro Bowler and three-time All-Pro. He led the league in tackles for seven straight years and is the team's record-holder career tackles. Spielman also went on to play for the Buffalo Bills and Cleveland Browns, taking the 1998 season off between stops to help his wife battle cancer. In addition to speaking, he has become a popular broadcaster during his post-playing days for Fox Sports. 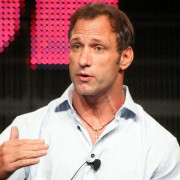 To inquire about Chris Spielman's speaking fees and appearance costs, contact the agents at Athlete Speakers by calling us at 800-916-6008 or by Starting Your Booking Request Now.